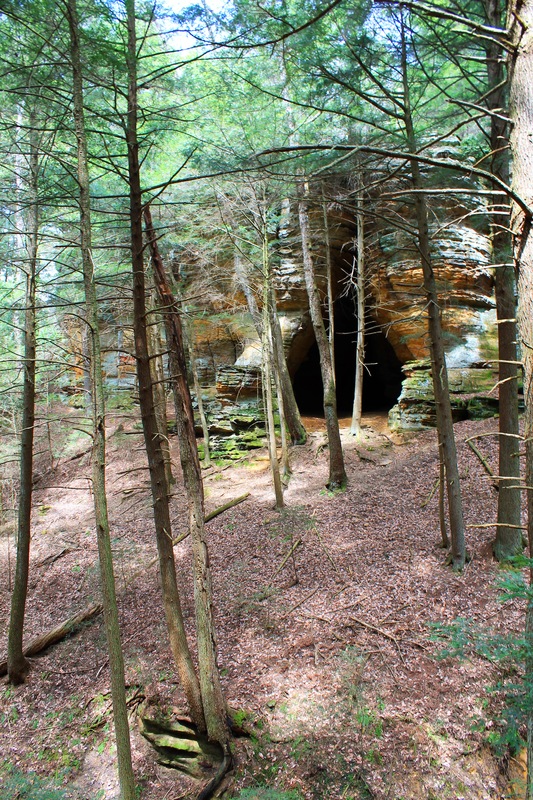 Chapel Cave is located in the Hocking State Forest, not far from Old Man’s Cave. 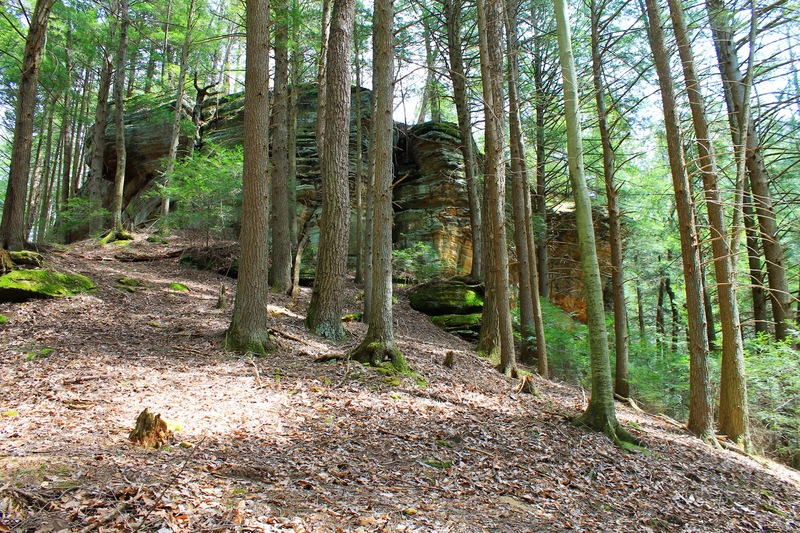 I found out about this hike from Trek Ohio’s website. They have a great website loaded with a lot of great information. The trail head is at the back of the parking lot of the Rock Climbing and Rappelling Area. The trail winds it’s way through the forest blazed in white. 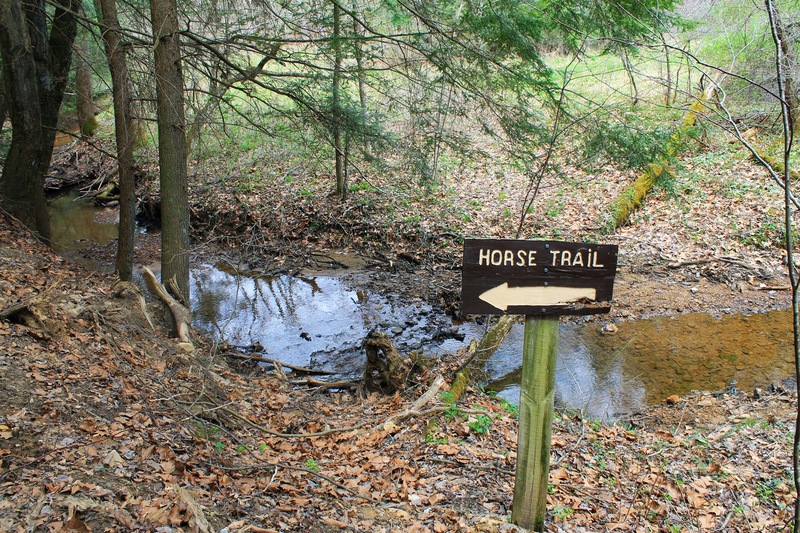 Keep in mind that this trail is a bridle trail and can get muddy in places. While we were there, large equipment was bringing in rock to help cover up the muddy portions of the trail. 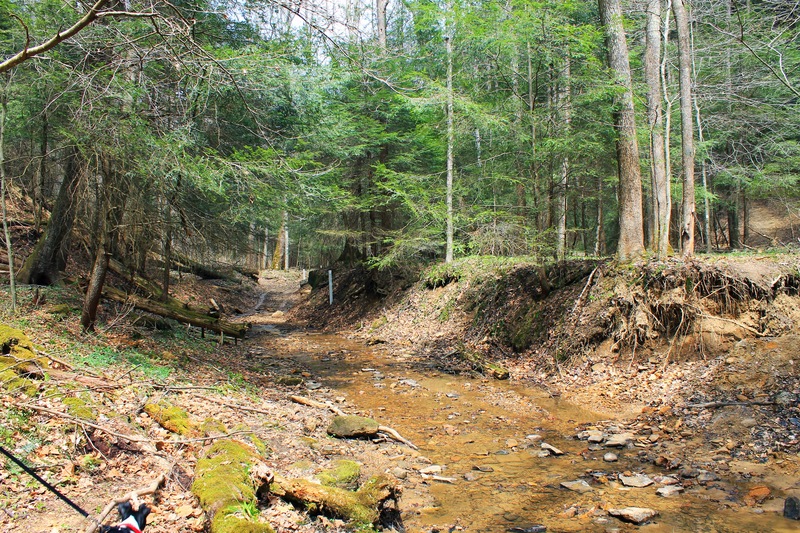 There are a couple fun creek crossings which as long as the water is not too high, you should be able to cross with ease, maybe getting a bit muddy in the process though. We came upon a sign that said “no horses, foot traffic only”. At the second one of those signs, we headed up the hill towards the rock outcroppings. 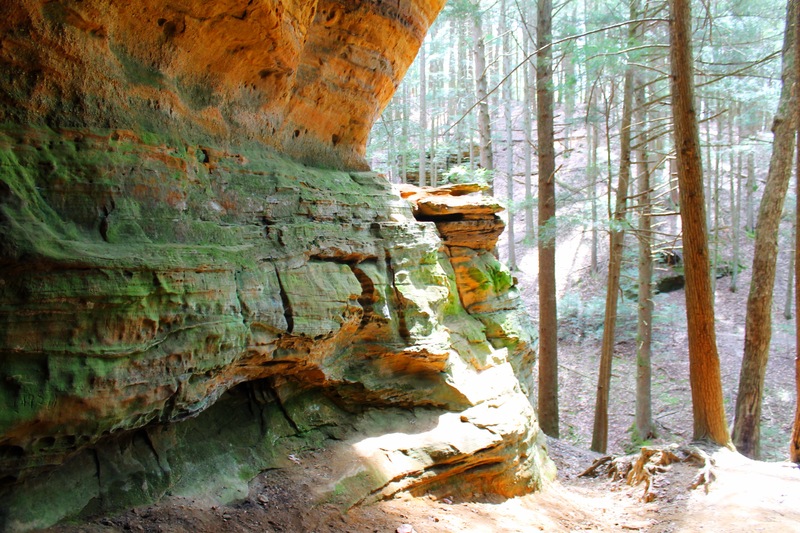 As you follow the trail upward, hugging the rocks, you will soon come to Chapel Cave. After exploring the cave a bit, we headed out of the cave to our left, along a faint trail. This trail leads back to a box canyon with a seasonal waterfall. This portion of the trail was a bit more rugged and required a bit of scrambling to get down to the floor of the canyon in order to cross to the other side of the ravine. From here, there was a set of faint stairs, but we lost the trail of the other side. After a bit of walking, we found the trail. 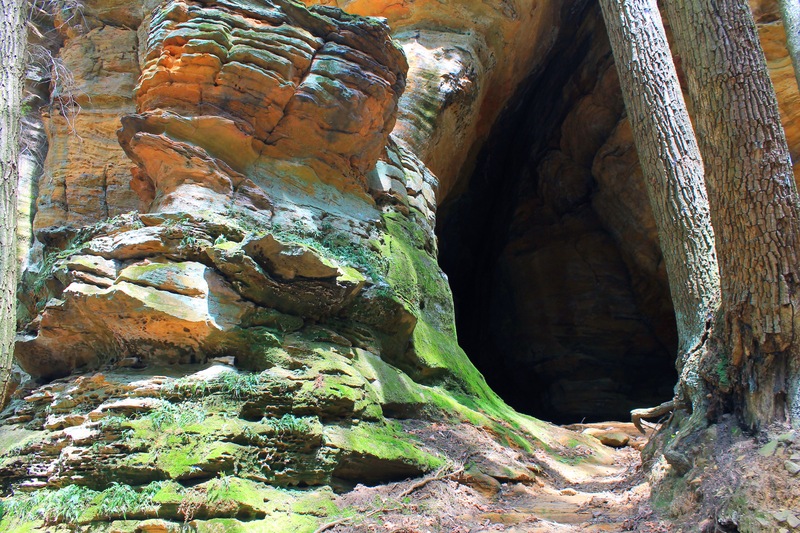 This gave us a different vantage point of Chapel Cave. We headed back along the trail which met up with the main trail that leads back to the parking lot.